Need something for that upcoming special occasion? 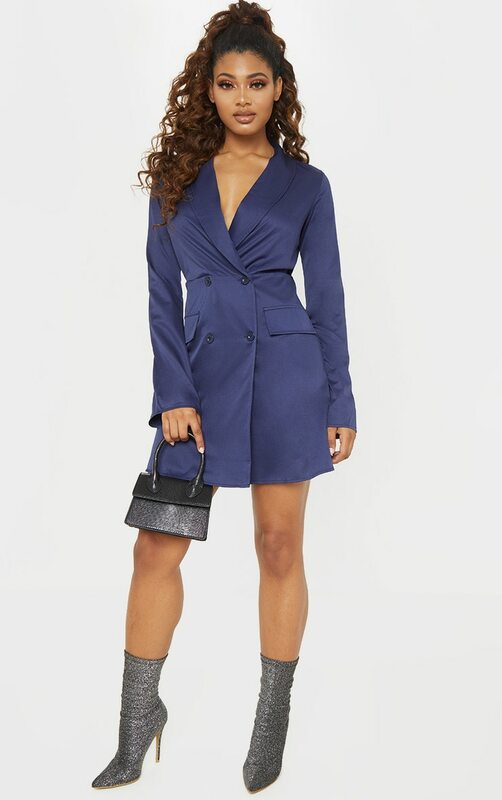 Doll we've got you covered with this must-have blazer dress. Featuring a navy material with a button fastening and a blazer style fit. Team this with sock boots and a small bag for a look we are obsessing over.